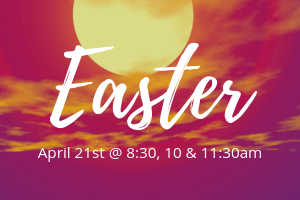 Join us on Easter Sunday as we celebrate the resurrection of Jesus and how it changed everything! Children’s Ministry is available at 10am and 11:30am services only. Student Ministries is not meeting.